It is not easy to be able to count with an own training department in your company. Luckily, there are many professional training companies in Greater Melbourne (Inner) - VIC Region keen to help you out with the whole training strategy. Corporate training plays an important role in the success of a business, so do not hesitate to get in touch with the best corporate training companies in Greater Melbourne (Inner) - VIC Region. 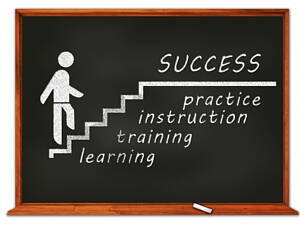 The training company will guide you in order to achieve a better work performance. At Infoisinfo our commitment is to provide you with useful information so you can find the best products and services to buy and hire in Greater Melbourne (Inner) - VIC Region, either for you or your company. We know how important formation and getting the right skills are for an optimum work performance. This is why we have prepared a list of the best training companies in Greater Melbourne (Inner) - VIC Region. Thanks to our directory you will be able to find services like staff training or leadership skills training. Get in touch thanks to the contact details provided such as phone number, address, websites and opening times. In addition, comments and valuations are also available on our website to give you a better idea about the quality of each service. If you find it useful, please do not hesitate to share your opinion too so it can help others. 2 Claremont Avenue, Malvern, VIC, Malvern. Stonnington. VIC, 3144. Level 1, 71 Palmerston Cres, Melbourne. Port Phillip. VIC, 3004. Level 1, 585 Chapel Street St, South Yarra. Stonnington. VIC, 3141. Vibes Fitness Melbourne, - Anti Gravity Aerial Yoga, 106 Leicester St, Fitzroy. Yarra. VIC, 3065. Consulting At: Domain Health, 175 Wells Street, South Melbourne. Port Phillip. VIC, 3205. 86-88 Hoddle Street, Collingwood. Yarra. VIC, 3066. Level 5, 189 Flinders Lane Lane, Melbourne. Melbourne. VIC, 3000. 1238 High St, Armadale. Stonnington. VIC, 3143. Exchange Tower, 911, 530 Little Collins St, Melbourne. Melbourne. VIC, 3000. Training Provider, 111 111 Harrington Street St, Melbourne. Melbourne. VIC, 3000. Level 8, 350 Collins Street St, Melbourne. Melbourne. VIC, 3000.